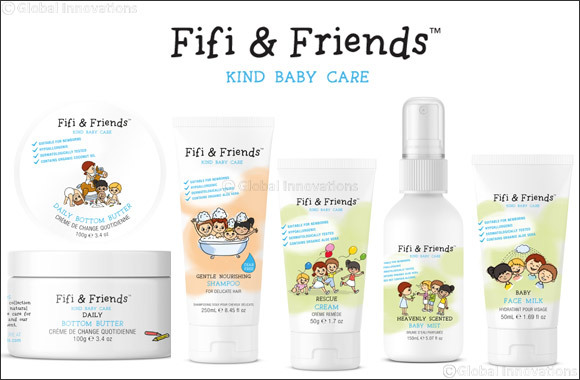 Dubai, UAE, October 15, 2018: When it comes to caring for a baby’s skin and hair, Fifi & Friends stands out as a favourite among mothers in the UAE because it keeps both mother and child in mind when creating the right solutions. This naturally fragranced baby water refreshes your baby’s skin, whilst organic Aloe Vera soothes. Ideal to also spray on linen and their toys for a comforting, soothing scent. This highly protective bottom butter is ideal for daily use, formulated for baby’s delicate skin. Helps protect skin from diaper rash.